Pimsleur Approach Review - Obsolete, But it Works! Assuming you have the discipline to keep using the Pimsleur language learning method, it does work. That’s important to know, because most language learning products simply don’t work even if you use them as recommended. Pimsleur: boring, but it works! 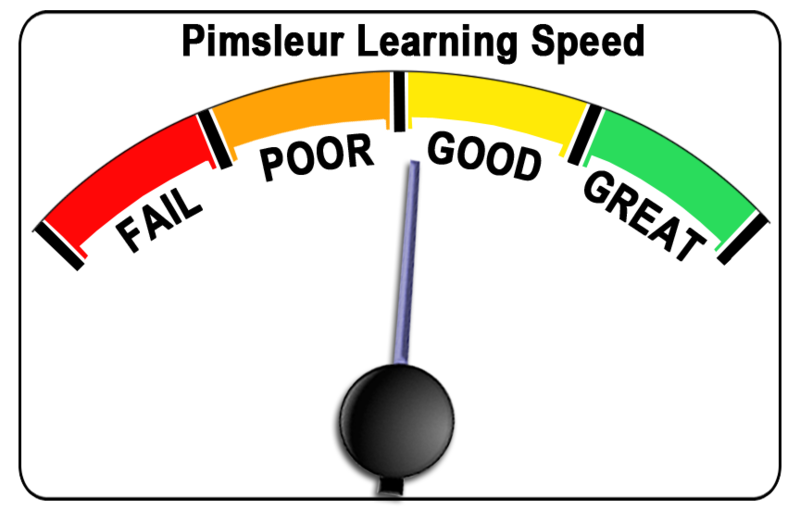 Summary of this Pimsleur review: Pimsleur is often boring, but you’ll always learn something. For beginners, Pimsleur is definitely worth your money and your time. Keep reading this review to learn about faster programs that are available for some languages. I had my first language-learning success with Pimsleur. I liked Pimsleur back then, and I still like it, even though I make a competing language learning product. Other competitors that I sometimes recommend are Yabla (for intermediate and advanced learners) and Fluenz (for people who want to prepare for an in-person class). There are some competitors I never recommend. For example, you may want to read my Rosetta Stone reviews. The most important reason Pimsleur language programs work is that Pimsleur uses something called “spaced repetition.” I explain spaced repetition in the detailed review below. 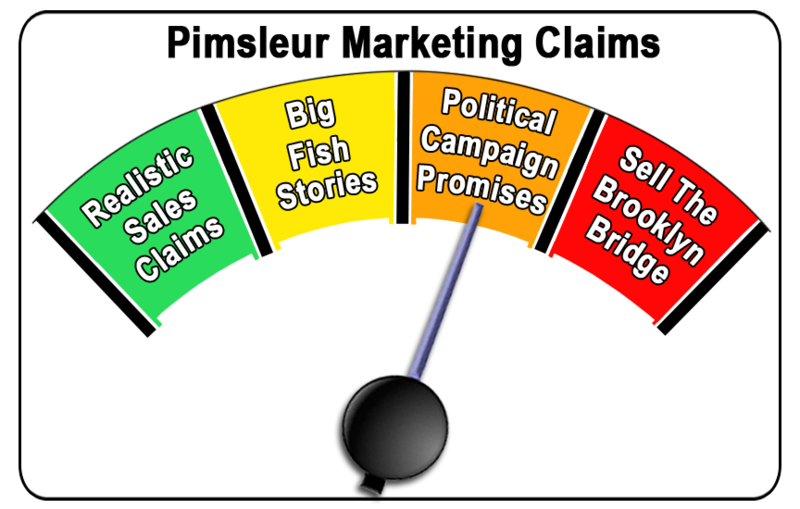 Pimsleur (and others marketing their products) often make marketing claims that are wildly unrealistic. For example, Pimsleur is currently advertising that you can learn your new language to an intermediate level in 30 days. This is a wild marketing lie. Yes, you can learn a lot of Spanish in 30 days, but nobody would seriously say you speak Spanish at an intermediate level after 30 days of study with Pimsleur. Please read the detailed review below and leave your comments at the bottom. If you want to learn one of the languages listed below, click on it to try a free lesson. It’s quite a bit faster than Pimsleur. If your language is not on the list above, please continue reading the Pimsleur review below. There is a link to the list of languages Pimsleur offers at the end of this review. Here’s what spaced repetition means. First, you listen to a foreign-language phrase, and then you are asked to repeat it. Next, you’re asked to remember the phrase and say the words out loud at timed intervals. The intervals start out very short and get longer and longer. For example, first you hear a word and then you’re asked to say it 15 seconds later. Then you will be asked to say it 45 seconds later, then 1.5 minutes after that, and so on. The time intervals grow quickly until they are measured in days and then weeks. This learning method works for everyone who is willing to use it. You will learn a lot (and remember a lot) for every hour you spend studying with any spaced-repetition method. Spaced repetition was invented back in 1932 by Professor C. A. Mace, so it’s an old and reliable concept. Pimsleur language courses that use spaced repetition were developed when cassette-tape technology became widespread in the 1970s. Pimsleur Approach was a marketing company with a license to sell Pimsleur products for several years. They used to run ads like this one: “Learn Spanish in Ten Days.” Then they got your credit card number with a low-priced $9.95 intro offer and promptly enrolled you in a series of much higher automatic payments. No, you won’t learn Spanish in thirty days with Pimsleur. 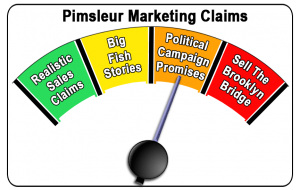 This eventually annoyed so many customers that Simon & Schuster (the publisher of Pimsleur) cancelled Pimsleur Approach’s contract, and Pimsleur Approach is no longer selling Pimsleur products. The trouble is that Simon & Schuster is currently advertising that you can learn a new language to an intermediate level in 30 days. This is a marketing lie. However, if you study every day with Pimsleur you probably will be happy with what you learn. The reason that most marketers of language learning products are such bold-faced liars is that the lies work. We want to believe that we can learn a language well with very little effort. So we buy and don’t usually ask for refunds of products that can’t possibly deliver on what the marketers promise. The Pimsleur language learning programs were developed in the 1970s, when the best available language learning technology was a cassette tape player. In recent times, Pimsleur has been copying the cassette tape courses onto CDs and then, more recently, into digital MP3 downloads. They recently added a software version for both PC and Mac. The downloadable MP3 files are exactly the same thing you would get if you bought the CDs, and it definitely can be preferable to purchase and download a language learning product if you are traveling in some remote part of South America and can’t order the CDs by mail. The MP3s won’t speed up your learning at all, but they might make it more convenient. The software includes all the audio lessons plus flashcards. Basically, Pimsleur’s current lessons are a repackaging of their old lessons from the days of cassette tape. And, yes, the lessons still work. 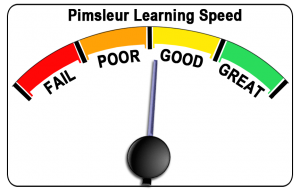 How Much Will You Learn With Pimsleur? In 2017, our lesson developer, retired US Army Linguist David Shoup, purchased a copy of Pimsleur Ukrainian 1 and analyzed the first lesson to see how much Ukrainian he would know when he had learned that first lesson well. The first lesson is 28 minutes long. To find out how much unique material he would learn, David subtracted out the English instructor’s speaking time, the blank time for the student to repeat after the instructor, all repeated words and phrases, and the syllabic breakdown of the words. The result for a 28-minute lesson was 1 minute and 10 seconds of unique data. So the 30 courses, which add up to 15 hours of lesson, will boil down to only about a half-hour of unique material. Since lessons 2 and onward also take time for reviewing material from previous lessons, the amount of new material that you learn per lesson goes down even more. Of course, the pauses, repeats, and English language instruction are all part of what makes the Pimsleur method work. But, since Pimsleur is 100 percent audio, the ratio of new material to instructional overhead is poor. Pimsleur is probably the best program on the market for blind and visually impaired language learners because, except for the software version, it’s 100 percent audio. Learning a foreign language is supposed to enhance your life, not cause you to have a car wreck. Studying any foreign language while you are driving is a bad idea. In order to learn well, your attention needs to be on the language, and in order to drive safely, your attention needs to be on your driving. You can’t do both. Get someone else to drive while you study. It’s always great if you can figure out how to do two useful things at the same time, like learning a foreign language and exercising. This is an area where the audio platform of Pimsleur is beneficial. Just remember to take your headphones off when you are crossing busy streets, and you should be able to exercise and study a language at the same time. I usually listened to a Pimsleur lesson three to four times before I was ready to go to the next lesson. You should plan on listening to each lesson several times. If you like to study while walking or jogging, you may be interested to know that Language101.com runs on iPhones, iPads, and Android devices. I found that I could get a lot of valuable exercise and language study at the same time while walking back and forth in my house with an iPad. Don’t use Language101.com to study while walking outdoors, because you are likely to trip and fall. When you are using Pimsleur, you spend a lot of time waiting as the instructor asks questions. With the Language101.com program you can review much faster because you don’t have to wait for the audio to play if you already know the answer. You can just click to give yourself a grade and then go to the next question. I spent a lot of time rewinding the Pimsleur CD to listen to a phrase again. With Language101.com software you can simply click “Play Slowly” or “Play Normal Speed” to hear the phrase as many times as you need to. Most people learn a lot faster with Language101.com software than they do with Pimsleur. Both programs will teach you the basics of your language well, but Language101.com can keep you more interested, with our movie clip lessons, song lessons, and any new lesson that you want! Having said that, Pimsleur definitely works, and I always recommend it if Language101.com doesn’t have your language. Pimsleur does have a reading program, but it looks as though it was made by different people than those who made the main lessons. My source at Simon & Schuster tells me that is not the case, but in my opinion the reading program is weak. Pimsleur’s reading lessons have absolutely no relation to the content of their audio lessons. In other words, you are never learning to read the material you have just learned to speak. Language101.com reading lessons are closely matched to our speaking lessons, so you will always learn to read the same words you are learning to speak. Studying with Pimsleur lessons is fairly boring when the lessons are brand new to you and really boring after you have listened to them several times. With Language101.com software, you can keep adding new lessons to keep you interested. What to Study After Pimsleur? If you have finished all the lessons that the Pimsleur approach offers, you may want to try Language101.com. We offer a much faster method of review for long-term memory retention. We also cover more material in different ways than Pimsleur does. If your next language is listed below, please click on your language to try a free lesson from us right now. It’s quite a bit faster than Pimsleur. Even if you do decide to use Pimsleur (which is a good choice) you might want to use the programs below as well. What if I Am Interested in Something Else? If you visit the Pimsleur web site, make sure to scroll down for their lowest price offerings. However, remember that products that work in language learning are rare, and while I have paid a lot of money for various Pimsleur products, they have always been a good use of my time and money. 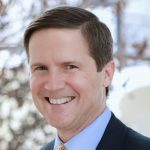 The Pimsleur representative in charge of their affiliate program contacted us in 2017 and offered to sign us up so we could earn a commission on sales. After thinking about if for a while we decided that it would be better to not take any money for our recommendations. So the link above is NOT an affiliate link, and we don’t get a penny from Pimsleur for this review. This Pimsleur review is based on using Pimsleur Spanish 1, 2, and 3 in 2016, and their programs are the same today. 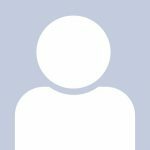 Since the Pimsleur program is very similar from language to language, this is also a review of Pimsleur French, German, Russian, Danish, and Irish. If you enjoyed this Pimsleur approach review, please share it on Twitter by tweeting the message below. I learned German in high school and college, Russian at DLIWC, and got about an year’s equivalent of French at our embassy, in Burkina Faso. I started a Russian refresher with Rosetta Stone, and then I heard about Pimsleur and fell in love with it for French. Contrary to your advice, it worked great for me while driving during a 75 min commute. I have found it takes 60-90 lessons to achieve near-intermediate fluency, but that includes augmentation with 501 Verbs (pick your language) and liberal use of Google Translate. BTW, 25 lessons of Swahili helped me get back to my hotel when lost one night in Zanzibar. Pimsleur offers good value for money (especially the downloadable option), if your learning situation mitigates boredom, overload and burnout. I’m a big fan of Pimsleur too and the 501 verbs books are excellent advice. I just decided to try Pimsleur after starting to learn Japanese with other resources. There is a superabundance of language learning resources online now and I don’t think one should exclude another. I don’t agree with the Pimsleur methodology in excluding reading (and later writing – Japanese is a tricky language to read and write at first) since in my experience each complements the other. You cannot make much sense of more complex oral learning without some orientation in grammar and vocabulary, but oral learning also helps give meaning to grammar – you are already familiar with use of sentence structures etc. What other resources have you used to study the Japanese language ? We now have Japanese lessons that you may want to try. I concur about the boredom and the use of spaced repetition. I downloaded this years ago and never followed through with completing it for one reason or another (I wanted to learn Spanish in my free time). I completed 8 lessons and just fell out. However, as an ESL teacher moving to South America in the future, I decided to web search what the internet says about it. I too use a lot of Google translate; however, since I don’t repeat what I am web translating, it doesn’t stick very well. With that said, I plan on adopting some TESOL techniques to my personal Spanish learning. Thanks for the assessment and I can see we are in agreement. Best of luck with your endeavors.